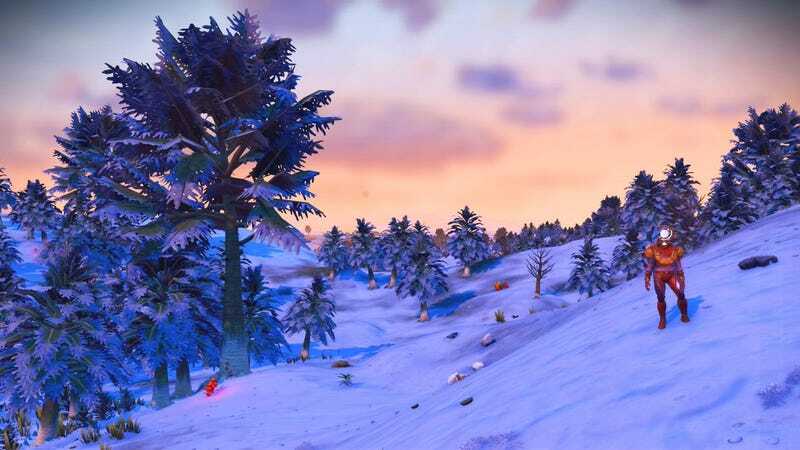 After yesterday’s update, No Man’s Sky looks completely different. Players cannot stop sharing their beautiful screenshots. If nothing else, No Man’s Sky generates incredible desktop backgrounds. After the new update, every few minutes I want to stop and take a picture of the beautiful vistas. Other Kotaku staffers are doing the same. The community at large has also been wowed by the graphical changes, and fans are sharing their own snapshots. In particular, the ringed planets and clouds have been making a huge difference in the ambiance of planets. Even after all this time, No Man’s Sky finds new ways to delight me. I’m still out there, looking for that perfect view.